Light & Darkness Radio: Featured Today! "Myrath, Machine Head..."
Another day another Featured bands posts! L&DR is growing everyday and is all thanks to you! Yeah this might be old news but is truth Soon I will have to upgrade the servers to get more listeners and more music, in case you didn't noticed L&DR have one of the biggest music library, how's that? Easy L&DR don't play just Prog/Power/Heavy like most of the stations or Just Black/Death/Doom like others L&DR plays EVERY single subgenre on Metal, This is what makes L&DR unique and special, Thanks all for your feedback and making L&DR your favorite Metal station on the Live365 Network! Enough chit chat, Here's today Featured bands! Myrath (TU) - MYRATH (which means Legacy) is a Metal band from Tunis-Tunisia, a small country well known for its resort areas on the Mediterranean coast but certainly not for its Metal bands, yet in just few years what started out as a teenager cover band became a relatively well known and respected band by the international Prog-Power Metal community. It all started in early 2001, when guitarist Malek Ben Arbia (who was just 13 years old at the time) and two of his childhood friends, Fahmi Chakroun (drums) and Oualid Issaoui (guitar) living in the same neighbourhood in Ez-Zahra (suburbs of Tunis-Tunisia) formed a cover band which they named Xtazy. The lineup was shortly after completed by Zaher Ben Hamoudia (Bass) and Tarek Idouani (vocals). For the first two years the band played in numerous local gigs, mainly Death covers, then for the following two years exclusively SYMPHONY X covers, when Elyes Bouchoucha (keyboards and vocals), who just graduated from Tunis conservatory, joined the band in 2003. After 4 years of playing covers, the band gained enough experience to start writing its own music. Thus in March 2005 they released (in Tunisia only) "double face", a self produced album with a lineup which included new drummer Saief Ouhibi (who joined the band in the summer of 2004). Even though "double face" was more of a demo with an obvious SYMPHONY X influence it did however show very encouraging signs of composing skills especially that it was the first recording experience of a band consisting of students still in their teen years. In March 24th 2006 the band opened for ROBERT PLANT and ADAGIO in a concert held in Carthage roman amphitheater and attended by about 7OOO Metal/Rock fans. That day they met Adagios keyboard player Kevin Codfert who later became the band producer and sound engineer. With the valuable support of Kevin, the addition (in September 2006) of experienced Bass player Anis Jouini and the improved composing and playing skills of guitarist Malek Ben Arbia, who graduated (in July 2006) from the prestigious French guitar school Music academy international (M.A.I. ), the band became more ambitious in pursuing an international career. To this respect they started by changing the band name from Xtazy to MYRATH then in December 2006 they recorded the album "Hope" with Kevin Codfert as sound engineer and producer. This album was a turning point in MYRATH carrier as the band was signed by the French label Brennus-Music, who released "Hope" worldwide in September 2007. "Hope" was praised by the media in numerous reviews by well known webzines and magazines (such as Rock Hard) and was even voted third best album of the year by two major US webzines and album of the week by several major US webzines and major metal radio stations such as THE MOOVE (France). Most critics predicted a bright future for the band as summarized by one of them who wrote "MYRATH will probably be the first band from Maghreb which will have a famous international career. This album is one of the best releases of Progressive Metal that I had the chance to listen to lately. Thumb up to MYRATH for this exceptional release… this band will become really big and famous you'll see, I will not be wrong" The success of "Hope" contributed to improving the notoriety of MYRATH, and paved the way for prestigious European festivals (such as METAL ROCK FESTIVAL - Norway and PROGPOWER-EU – The Netherlands) to include the band in the lineup of their 2008 edition. Thus on May 2nd 2008 Myrath made an impressive debut live performance outside Tunisia in PROGSUD Festival (Marseille – France) with talented singer Zaher Zorgati (who joined the band in June 2007) as front man. The follow up album "Desert Call" which was officially released on January 25th 2010 in Europe by the major French labels XIII BIS RECORDS (Sony distribution) and in the rest of the world by the prestigious American Label Nightmare Records was a second turning point in MYRATH carrier in terms of improved notoriety and increase of it’s fan base as well as a wider interest of media and promoters. "Desert Call", which offers a new style of Progressive Power Metal consisting of a mix between traditional Tunisian music and Metal enhanced by a balanced Arabian and western orchestration was praised by the media in numerous well known European and American webzines and magazines and had a huge success worldwide in terms of sales and increased fan base.the album was even voted in top 1O albums of 2010 by several webzines In view of promoting this album Myrath opened for Haggard on March 24th 2010 (7th edition of the Mediterranean guitar festival) then travelled to Europe for a mini tour highlighted by a live performance on October 1st 2010 at the Pacific Rock (Cergy-Paris-France) followed by a brilliant show on October 2nd 2010 in Progpower Europe festival which was held in Baarlo – Holland, on October 1st, 2nd and 3rd 2010. In addition the band was host of several major French radio shows to play live acoustic shows. 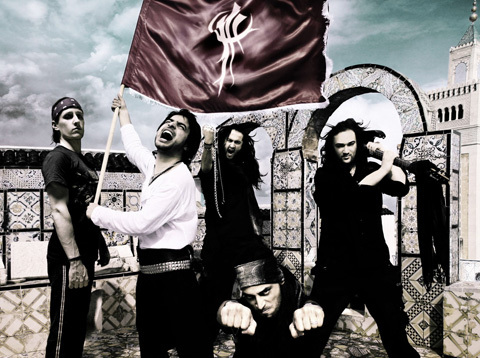 Myrath's distinctive metal style is blended with oriental rhythms, scales and harmonies. Myrath has filmed a video clip for a song out of "Tales of the sand", their latest album, and will support Orphaned Land in a one month long European tour starting in November 2011. Machine Head (US) - Machine Head were formed in 1992 in Oakland, California by vocalist/guitarist Robert Flynn and bassist Adam Duce. Flynn had recently parted ways with Vio-lence after a physical fight between the band members and a local gang. He still had a desire to write music and along with Duce recruited guitarist Logan Mader and drummer Tony Costanza to form Machine Head. The band's name was thought of by Flynn because it "sounded cool", despite the popular belief that it came from the Deep Purple album of the same name. The band started jamming in a local warehouse shared with four punk rock bands. Machine Head recorded a demo in a friend's bedroom, funded with US$800. A record executive representing Roadrunner Records listened to the demo and signed the band. Machine Head entered Fantasy Studios in Berkeley, California to record its debut album Burn My Eyes. Not long into production, Constanza left the band and was replaced by Chris Kontos. Most of the songs on the album were songs written by Flynn and Duce during the time Flynn was not in a band, about "being pissed off" from his previous struggles in Vio-lence, as well as both of their battles with illegal drugs. Produced by Colin Richardson, the album was released on August 9, 1994. The album shipped nearly 400,000 copies worldwide, becoming Roadrunner Records' best selling debut album. Allmusic reviewer John Franck stated "Burn My Eyes is a bone-shattering exercise in brutality". Not long after Burn My Eyes's release Machine Head started touring heavily in support of the album, opening for Slayer in Europe in the latter half of 1994, a tour which ended with their own headline show at the London Astoria. Following the success of the support tour the band returned to Europe for a headline tour in early 1995, performing in the same venues they opened for Slayer. The band would return to Europe for the summer festival season but Kontos refused to tour and the band drafted Walter Ryan for the festival dates. On the band's return to the US Kontos was fired because he was not keeping to touring commitments. Kontos went on to play drums with Testament, and was replaced by Dave McClain. After touring for Burn My Eyes, Machine Head entered the studio to record its second studio album, The More Things Change..., with Richardson producing and mixing for a second time. The album was released on March 25, 1997, and debuted at number 138 on the Billboard 200 albums chart. Machine Head toured on the first Ozzfest for the first tour in support of the album. Mader showed up to a practice session late, high on methamphetamine, cursing at and insulting the band members; and quit the band later that day. Ahrue Luster replaced him and finished touring. After three years of touring and working with producer Ross Robinson, Machine Head released its third studio album, The Burning Red, on August 10, 1999. The band added new elements to its music, including rapping vocals, a move which some believe to have been influenced by Ahrue Luster himself. This album and the band's change in image/musical direction (nu metal/alternative metal) was highly criticized, with critics and fans alike accusing the band of "selling out". Nevertheless, McClain stated they weren't trying to sound like popular bands but "wanted to sound different". Rick Anderson of Allmusic stated Machine Head was "sounding a bit looser and less constricted musically than they have in the past". The Burning Red became Machine Head's top selling album for a number of years, and debuted at number 88 on the Billboard 200. The album won the hearts of many new fans with such hits as "The Blood, The Sweat, The Tears" and "From This Day". Machine Head finished touring for The Burning Red, and entered a studio with producer Johnny K to record Supercharger. Debuting at number 115 on the Billboard 200, the album was released on October 2, 2001. The album met the same criticism as The Burning Red, especially for the ever-present rapping vocals. Blabbermouth.net reviewer Borivoj Krgin stated Supercharger "is likely to disappoint everyone who is expecting the Bay Area quartet to return to the ultra-testosterone-charged sounds of their first two albums". Machine Head released a single for "Crashing Around You" as well as a music video. The video was released several weeks after the September 11, 2001 attacks, and was banned from MTV for the depictions of falling buildings. Roadrunner Records, expecting to make a fair profit from album promotions, dropped the band's funding, causing Machine Head to leave the label. At the same time the band was leaving Roadrunner, Luster departed from the band for musical differences. By 2002, Machine Head has sold over 1.3 million albums worldwide, and overall Supercharger (mixed by Colin Richardson) would go on to sell an impressive 250,000 copies worldwide, but it would be their lowest selling album to date. Once the tour for the album had been completed, Machine Head and Roadrunner Records mutually decided to sever ties with regards to distribution in North America and around the world, however to fill the ties, the band released "Hellalive" (also mixed by Colin Richardson) which was a recording of a Brixton Academy, London set. In 2002 Ahrue Luster left the band and was temporarily replaced by Phil Demmel, who played in thrash band Vio-lence alongside Flynn. Demmel played some festival shows with Machine Head (including a headlining slot at the With Full Force festival in Germany). Then with Phil not being able to commit to the band, he and Machine Head parted ways. 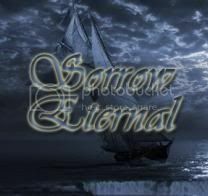 The remainder of the band starting writing songs for the next album (eventually Through the Ashes...), and hoping to get signed to a record label. They recorded a short demo, including a radio-style song called "Pins and Needles", and a Electronic Press Kit for the companies, also hoping they can get signed on the strength of their previous efforts. Nearly every record label in the music industry rejected the four track demo. After Machine Head's European tour, Ahrue Luster returned to his family business and the band started writing together as a three-piece, while leaving a position open for Demmel. In March 2003, Demmel joined Machine Head as a full time guitarist and started writing with the band. By June 2003, Machine Head entered a studio with Flynn producing. On October 27, 2003, Machine Head released Through the Ashes of Empires in Europe. The band was turned down by multiple record labels in the United States, until Roadrunner USA, interested in the new album, offered Machine Head another record contract. Machine Head accepted the offer on the grounds that the band owns 100% of the music. On April 20, 2004, Through the Ashes of Empires was released in the United States with a bonus track for the Americans' long wait for the album's release. The album debuted at number 88 on the Billboard 200. The band released a single for "Imperium", the video for which received heavy rotation on MTV. Eduardo Rivadavia of Allmusic stated Through the Ashes of Empires "marked a return to form in no uncertain terms". Machine Head headlined the True Metal stage at the 2005 Wacken Open Air festival to 40,000 fans—the band's largest headlining crowd. The band released a DVD containing a full sold out concert held at the Brixton Academy in December 2004, a documentary, and music videos. The DVD debuted at number 13 on the United States music video charts. They also played in Dubai for the annual Dubai Desert Rock Festival in 2005. This was their first show in the Middle East. Machine Head's sixth studio album, titled The Blackening, was released in North America on March 27, 2007. It entered the Billboard 200 at number 53, the highest charting position for the band, with first-week sales of 15,000. It also made the top 20 in several European countries. Robb Flynn stated during an interview that the band are fans of Rush and received a great deal of influence from their album A Farewell to Kings while creating The Blackening. The album received positive reviews from music critics, with some labeling it the best metal album of 2007. Blabbermouth.net reviewer Don Kaye awarded the album a 9.5 out of 10, saying The Blackening is "one of the purest, finest, most powerful expressions of modern heavy metal released" and compared it to the 1986 Metallica album Master of Puppets, while Allmusic editor Thom Jurek described the album as "an over the top rage and pummelfest with all the qualities that earned the group its enormous fan base by touring and recording", praising the songs "Beautiful Mourning", "Halo", and "Now I Lay Thee Down". Rolling Stone reviewer Andy Greene, however, responded negatively as he was displeased with the songs running over ten minutes. Machine Head toured North America with Lamb of God, Trivium and Gojira in early 2007 to promote The Blackening, and opened for Megadeth and Heaven & Hell in April 2007. A European tour saw the band make an appearance at the Download Festival in Donington Park. Shortly after, the band announced a co-headlining tour of Japan, Europe, and Australia titled The Black Crusade from October to December. Other bands on the bill included Trivium, Arch Enemy, DragonForce (Europe only) and Shadows Fall (Europe only). On June 12, 2007, at the Metal Hammer awards, the band won the award for "Best Album", and Flynn won the "Golden God" award. Machine Head also won "Album of the Year" at Kerrang's annual ceremony. The band replaced Bullet For My Valentine supporting Metallica's Wembley Stadium show on Sunday July 8, 2007, as Bullet For My Valentine's vocalist Matt Tuck required a tonsillectomy. Machine Head also toured North America with Hellyeah, Nonpoint and Bury Your Dead in early 2008. Machine Head recently completed a world tour where they played Bengaluru, India, Israel and Dubai, U.A.E. in March 2008. In October 2008 the band toured in Australia with Slipknot. The band then toured Europe with Slipknot and Children of Bodom in November and December. The band recorded a version of Iron Maiden's classic, "Hallowed Be Thy Name" for a Kerrang! tribute compilation album, entitled Maiden Heaven: A Tribute to Iron Maiden; this song was played live multiple times since its release and has become a permanent in their current touring setlists. Amongst other bands who appeared on the album were label mates, Dream Theater and Trivium. It was announced on August 10, 2008 that Machine Head and Austin, Texas based band The Sword would be opening for Metallica at ten shows in January 2009. In a recent interview conducted with Phil Demmel, he revealed that with Machine Head's upcoming touring commitments, the band would not have chance to write a follow up album until at least 2010, for an expected 2011 release date. Machine Head toured with The Sword in Metallica's World Magnetic Tour for the Death Magnetic album from 2008 to 2009. Machine Head also opened for Megadeth, Slayer and Suicide Silence on the Canadian Carnage tour in late June. Machine Head reportedly cancelled their appearance at Sonisphere Festival in the UK because they had disagreements with the staff over their slot. They thought they should play after Limp Bizkit. However, a week before the Sonisphere festival took place on August 1 and 2, Machine Head agreed to take back their slot below Limp Bizkit. Their appearance was kept secret until the day they played. In August 2009, they won the Inspiration Award at the 2009 Kerrang! Awards. It was announced on the August 31 that Machine Head would tour through Europe and UK in 2010 with Hatebreed, Bleeding Through, and All Shall Perish in what will be known as "The Black Procession", as well as adding dates for an Australian and New Zealand tour cycle in March. This will be the last time the band tour in support of The Blackening before writing the next album, as Dave McClain described in an interview, before their Belfast show in Northern Ireland. In honour of ex-Vio-Lence manager Debbie Abono and Ronnie James Dio's passing, Robb Flynn recorded and released for free online a cover of Black Sabbath's "Die Young". Abono managed Flynn and Machine Head guitarist Phil Demmel when they were members of Vio-Lence. In November 2010, Machine Head began writing and demoing new material for their seventh studio album, Unto the Locust, which was officially being recorded on 16 April 2011 at Green Day's Jingletown Studios in Oakland, California. The first song release from the album, "Locust", was released on June 14, 2011. The album was released on 27 September 2011.